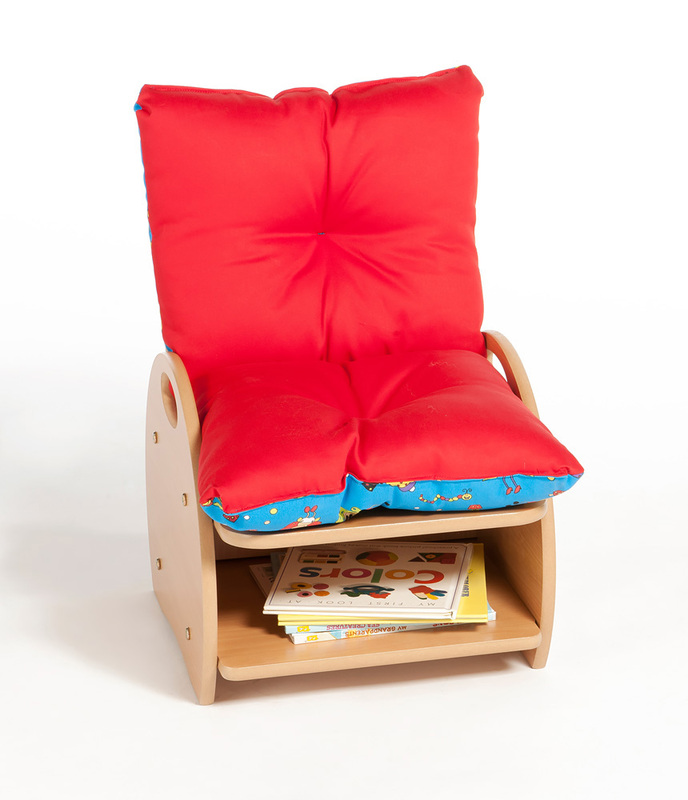 The early years' armchair is ideal for use in schools, nurseries and homes. Manufactured in the UK using sustainably sourced beech melamine board that is durable and easy to clean. 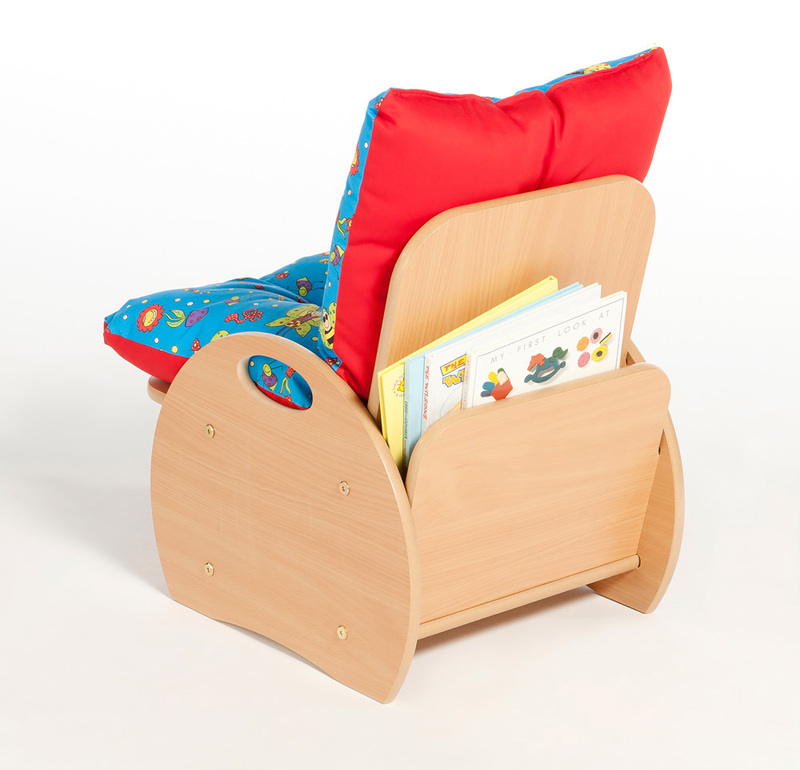 The armchair features storage both at the rear and under the seats perfect for books, magazines and soft toys. 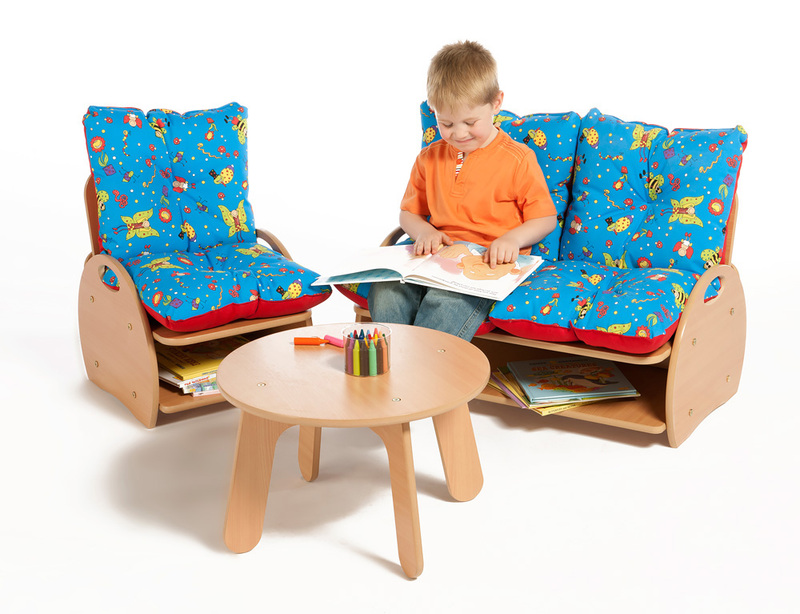 Removable cushions are included with the armchair and can be reversed for different a different look - one side is blue and patterned and the other is plain red. The cushions are machine washable. 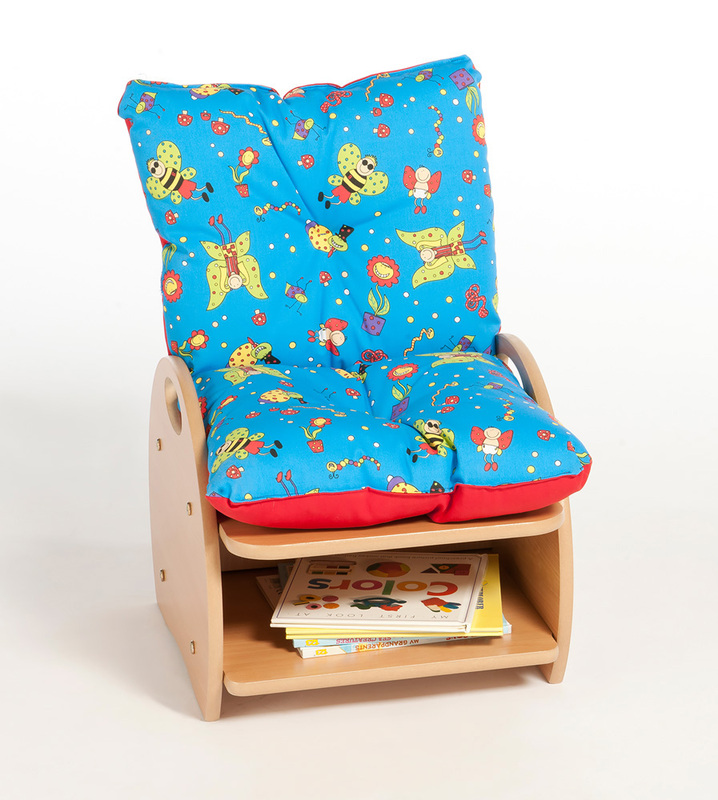 Please note: the books featured in the product images are not included with the early years' armchair. Please Contact Us or alternatively call for more details on 01733 511121.